I confess. Portsmouth, New Hampshire, I have been unfaithful. Having moved just outside your borders to the Town of Greenland, I sometimes tear up having called you my home for a decade or so. I miss you. The good news is, the entire Seacoast Community defines Port City – we all can’t live within her borders, with a population of just over 21,000 people – you’re just a tiny little town on the Coastline. But it is through this greater community that we see even greater things. One such effort by the creative community is taking place. What we often hear about the woe is me parts of Portsmouth – the hotel development, parking, parking, parking – but there always is something new and exciting brewing in the periphery. Speaking of brewing, it’s not always about beer, but that community is hopping around here as well. No, there’s something fresh – a grassroots campaign to bring light to our Arts and Culture community. It has suffered some blows based on high rents and housing shortages, but business has been thriving for professionals. We now have more creative/design agencies than I can count. Check it out. You see, it seems that Portsmouth is harboring a number of ‘professional creatives’ as I will call them, not so much painters and poets, but agencies and freelancers that serve the Greater Boston market and beyond – copywriters, marketers, ad agencies, web developers. What was once known as the e-Coast for technology endeavors, can now be called the C-Coast for its creatives. Remind me to trademark C-Coast, build a logo through fiverr and buy up the domain name! This phenomenon does not go unnoticed. The Union Leader has written on this topic. So has our local promoters of all things good in NH – Stay.Work.Play. 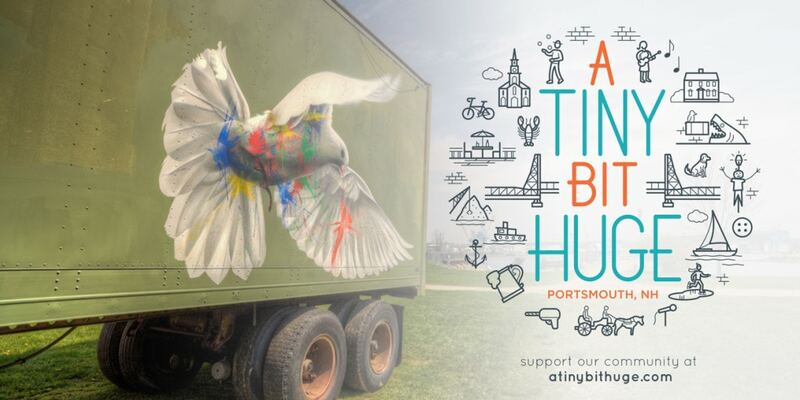 Check out this marvelous little video and fundraising campaign designed to showcase the creative talents of our fair City, it is remarkable when you consider the time and energy these folks donated (I will make that assumption though money could have changed hands). Either way – it’s terrific. It’s fun, it’s creative, it’s unique. A group of people gathering together to create a brand strategy for a city? For their Arts and Culture Scene? I love it. But rather than ramble on about my thoughts on the matter, I ask you to check out the IndieGoGo campaign – it seems the government is just a buffer to launder our money for us half the time, so it takes good people with good ideas to go outside the box in our community. Sure this is advertising for the agencies that put it together, I get it, but it’s also quite wonderful in so many ways. Donate if you can, or spread the word as I have. Thanks C-Coasters for your efforts. And read this blog entry on Stay Work Play NH!